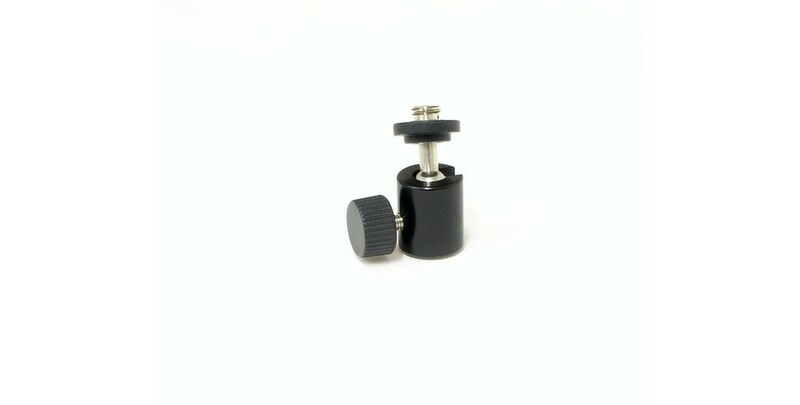 The swivel head is provided with a 1/4" UNC-20 male thread for a GRAS microphone holder which in turn holds the microphone set. The bottom of the GRAS AL0005 is provided with a 1/4” UNC-20 female thread for a compatible tripod e.g. GRAS AL0006. Notice that the swivel head AL0005 is included in GRAS AL0003.